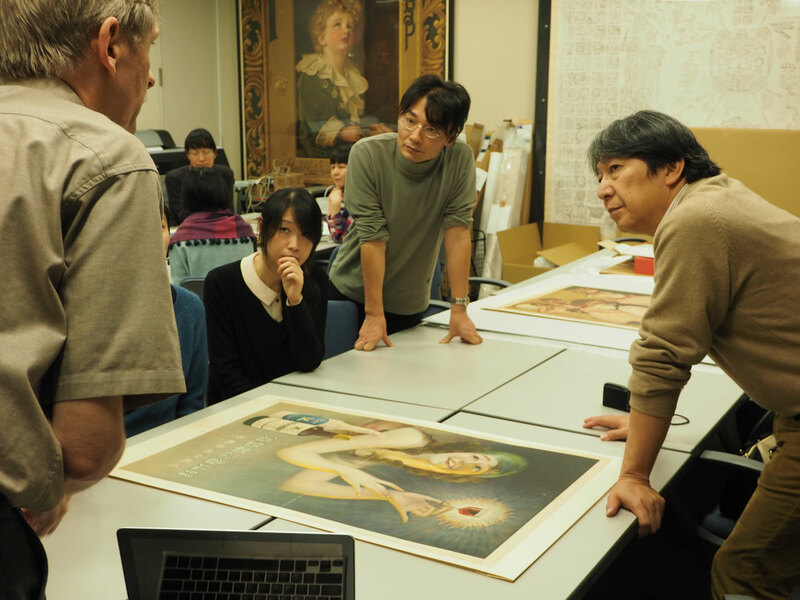 When the Kyoto College of Industry, predecessor to the Faculty of Engineering and Design, was established in 1902, the first faculty members brought back from abroad many important art works and artifacts to prepare new educational programs in design and industrial art. 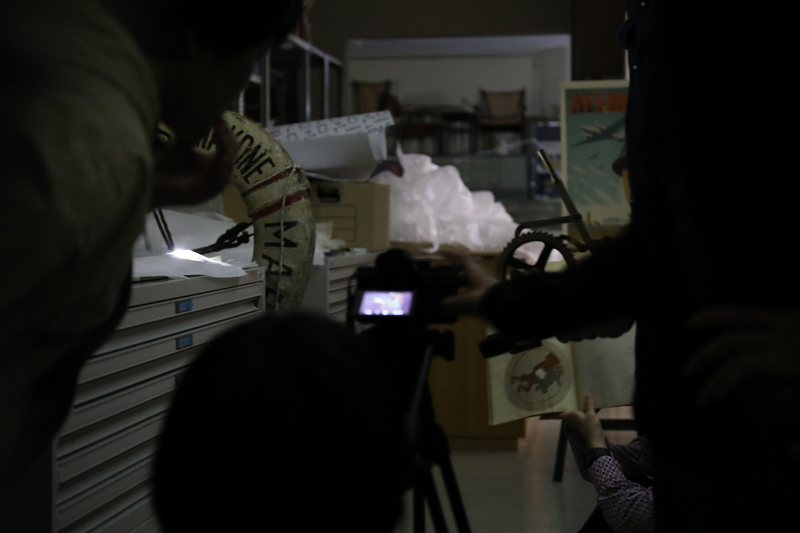 The KIT Museum and Archives, was established in 1980 to organize and display the collection and engage in collaborative research. Our archive of 48,000 art and craft works from many fields includes paintings, posters, sculptures, ceramics, metalwork, lacquer ware, specimens of dyeing and weaving, archeological finds and objects from daily life. Alongside this we have a collection of modern European posters and ancient and contemporary textiles. The collection centres on the value of design as a practical resource for design and architectural education. KYOTO Design Lab is creating works that allow for a new critical interpretation of the collections using these resources.